MotoCMS Recenze 2019 - Proč 4.4 hvězdiček? MotoCMS has been in the industry for close to a decade now, and their vast experience is very evident on several fronts. From the get-go, this site builder gives you the impression that anyone can use it to build a professional DIY website without any complex expertise needed. MotoCMS Is Pricey, but Its Powerful Features and Design Freedom Are Well Worth It. MotoCMS brings together the concept of content management and SaaS to provide a powerful website builder that is flexible enough for both beginners and experienced developers. 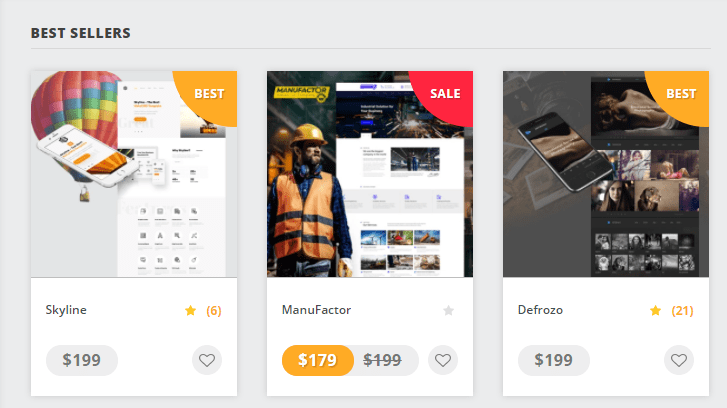 Whether you are looking to build a simple landing page or a robust digital storefront, this site builder offers some solid features that you can depend on. MotoCMS offers a pre-designed template that can be completed by dragging and dropping elements from the feature-packed admin panel. What’s really great about this builder is that its owners are constantly upgrading it to improve ease of use. MotoCMS is in the business of creating templates, which are then bundled into the MotoCMS site builder. Unsurprisingly, there are thousands of flexible, customizable, and mobile-friendly templates for every business niche to choose from. There’s a host of great features including eCommerce, SEO options, and social media integration, as well as an impressive selection of plugins that add functionality to any type of website. Unfortunately, MotoCMS seems to have overlooked the standard blogging functionality. So, if you are looking for a serious blogging platform, this builder may not be the right option for you. Great Range of Professional and Customizable Templates. Wide choice: When it comes to MotoCMS templates, you’re spoiled for choice. There are literally thousands of designs to choose from in diverse business niches. Both child-themes and pre-made templates are available for experienced developers and amateurs as well. Responsive: All templates are responsive and fit perfectly on smartphone, tablet, and desktop. Automatic optimization means you do not have to manually adjust text or image—just add content and the desktop view will be automatically resized to the smaller screen. Customization: There is a wide set of customization tools, so you can change the look and feel of your website to suit your business needs. While MotoCMS offers a good choice of stock images,, you can add your own images, add and edit content, change the background color, and so much more. All this is made possible by the intuitive drag and drop visual editor. Just the Tools You Need for a Powerful and Functional Website. SEO: MotoCMS is big on SEO with robust on-page optimization tools. You can do everything—add keywords, meta-descriptions, page title, and set custom URLs for blog posts and pages. You can also optimize images using descriptions, ALT tags, and titles. In addition, you can set “rel=canonical” tag as well as “no-follow” and “no-index” attributes, something very few site builders allow you to do. Integration with Webmaster Tools and Google Analytics can be done with ease right from the admin panel. 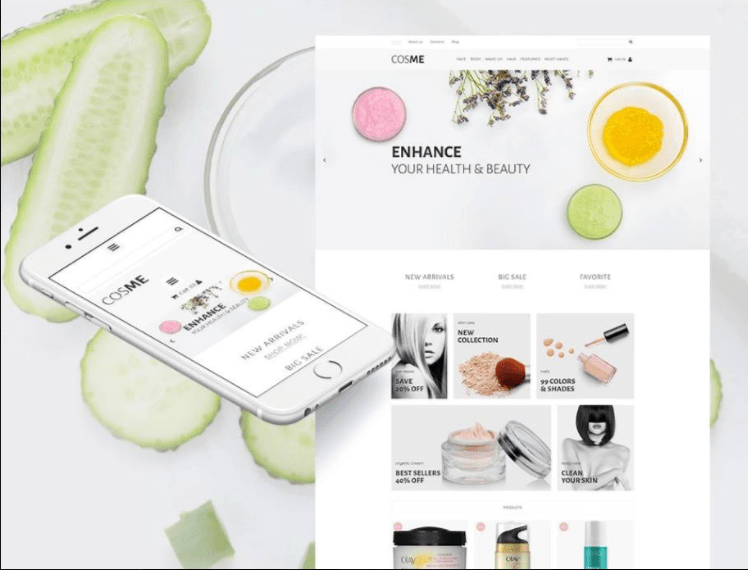 eCommerce: eCommerce is not one of MotoCMS’s strongest selling points, but you have the option of either buying an eCommerce template or a premium eCommerce plugin to integrate into your HTML theme, if you want to set up a digital storefront. With both options, you can do the basics—including SEO optimization for each product, customer management, inventory management, product categorization, and brand management. However, you are only limited to PayPal and 2Checkout for payment processing. App store: One thing that justifies MotoCMS prices is the wide availability of helpful and relevant widgets that can be accessed from the page editor. You will find everything from Google Maps to text boxes, galleries, contact forms, videos, eCommerce, and so much more. All these integrations go a long way to pack functionality into your website. Longer Sign up Process but Smooth Sailing Thereafter. I found the signup process at MotoCMS more time consuming than that of other builders. There are several loops to jump—you first have to select your business category, choose a template, confirm email, and then start the trial. However, after these initial steps, the rest of the process was seamless and was made easier by the popups that guide you throughout the process of designing your website. Straightforward Drag and Drop Functionality. No coding is required to use the MotoCMS builder. Simply use the intuitive drag and drop editor to add widgets, images, and text. It doesn’t hurt to have HTML knowledge either—there are fantastic developer tools for anyone interested in using code. As a CMS, this builder makes it easy to upload and install files on your hosting and to export them to another host. MotoCMS had done a good job with its support service. There are both a live chat option and an efficient email ticketing system that lets you submit and keep track of your requests. If you prefer a return phone call from the support team, simply enter your phone number and they will get back to you. There’s a support portal from where you can access a robust knowledge base with in-depth tutorials, a community forum, as well as a FAQs section. This type of round-the-clock support and flexible communication options is quite impressive. Templates Are Pricier Than Usual, but You Get Value for Your Money. When it comes to pricing plans, MotoCMS works a little bit differently. Instead of having a series of plans to choose from based on your website needs, MotoCMS requires you to jump straight in, select a template, and start building your website. Admittedly, their templates can seem pricey if you were to compare these with the cost of premium plans offered by other site builders. Also, if you need additional plugins such as eCommerce, you’d need to fork out more money. Are these prices justifiable? When you look at the features and design freedom MotoCMS offers, you probably get value for your money. Luckily, you can try any template of your choice free for 14 days. If you like the template, you can pay for it and keep it without losing any of the edits you made during the trial period. MotoCMS has been in the industry for close to a decade now, and their vast experience is very evident on several fronts. From the get-go, this site builder gives you the impression that anyone can use it to build a professional DIY website without any complex expertise needed. Their templates may be a somewhat costlier, but the robust features, the wide choice of themes, and the design freedom accorded do give you good value for money. MotoCMS is certainly a good investment for anyone serious about building a powerful website that will grow with their business. Přemýšlíte, jak si MotoCMS vede v porovnání s dalšími nástroji? Zadejte jakýkoliv jiný nástroj pro tvorbu webů a my vám je mezi sebou porovnáme.